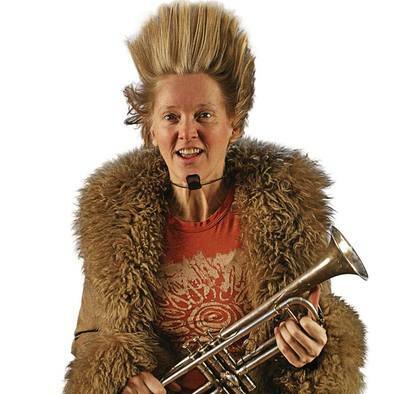 Yngvil Vatn Guttu is a Norwegian born composer, songriter, band leader and multi-instrumentalist. Educated in London and New York, she commutes between Norway, the US ( lower 48) and Alaska ! Her most recent album "On The Crosswalk" made it to number 5 in the American jazz charts ( CMJ) last year, and Yngvil has performed on stages as diverse as Broadway in New York and a Giraffe compound in South Africa. Yngvil is the founder and director of Spenard JazzFest in Alaska, now in it's 10th year.